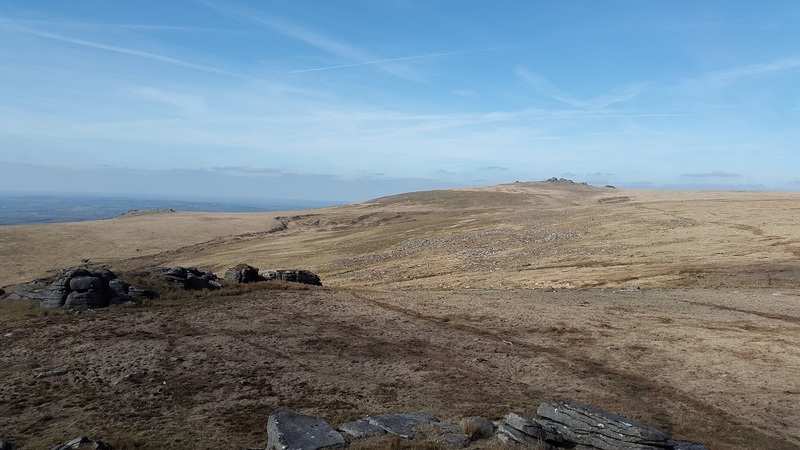 Sharp Tor is on the western edge of Dartmoor and like nearby Hare Tor, has fabulous views in all directions, particularly to the west where Cornwall is laid out in front of you. 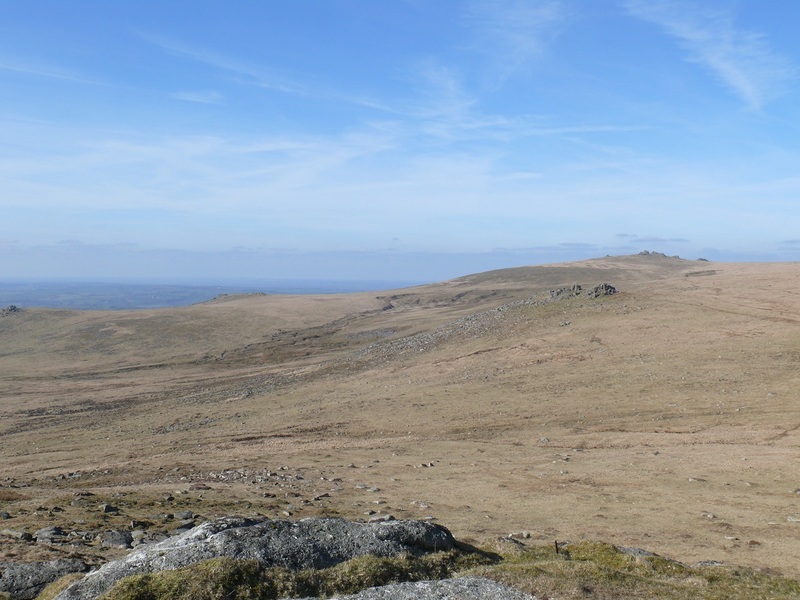 Sharp Tor sits within the Willsworthy firing range so check firing times before heading up to this one. 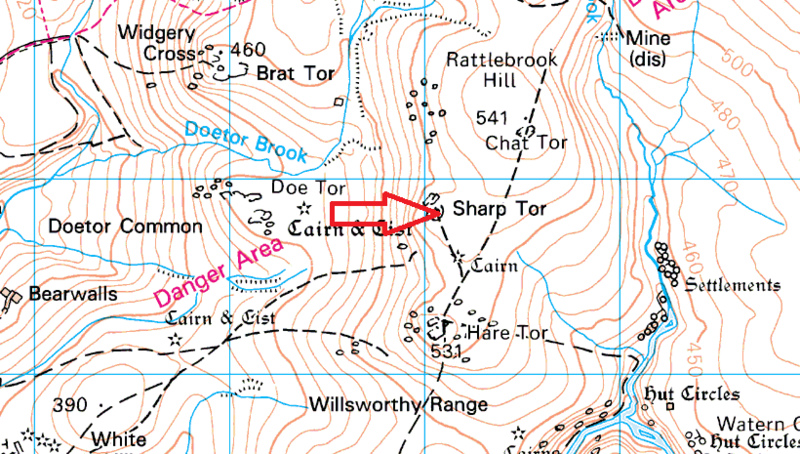 A good approach to Sharp Tor is from Lane End, heading up over Ger Tor and Hare Tor to this one, heading back via White Hill and the rifle ranges. 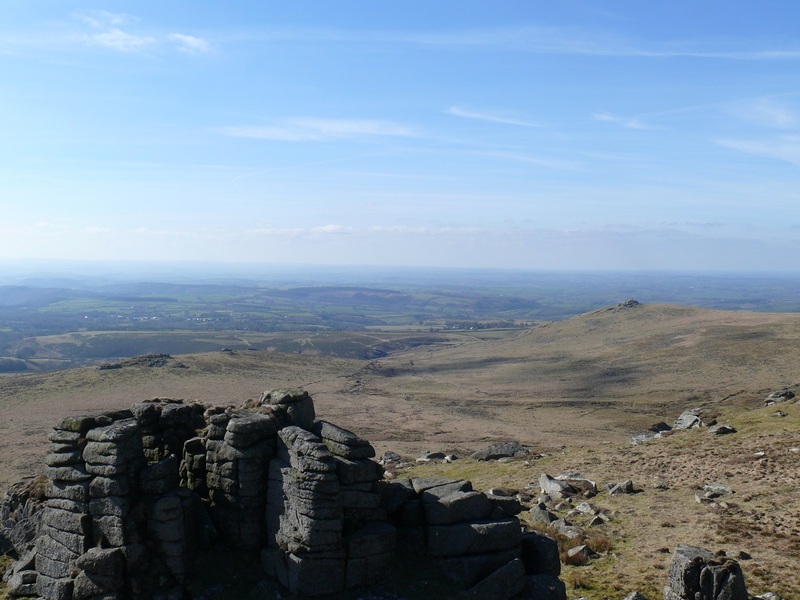 Looking back to Sharp Tor and Great Links Tor. Brat Tor on the far left. 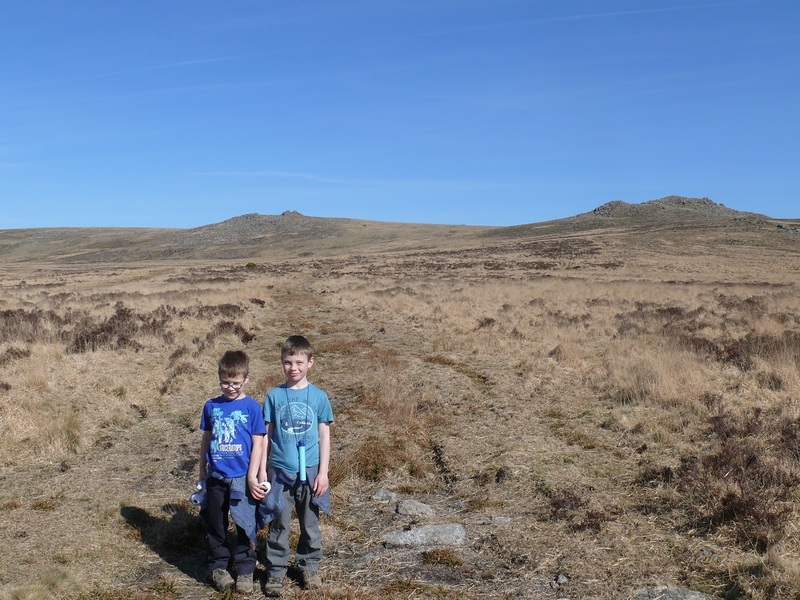 Heading for Sharp Tor on a warm March day, Hare Tor to the right.